Last week Louise reviewed Miss Moore Thought Otherwise. 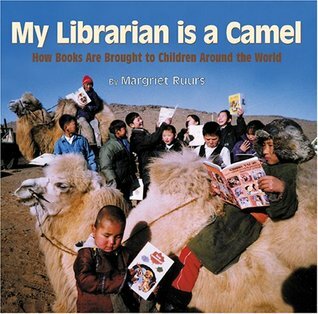 The picture book biography describes how librarian Anne Carroll Moore made libraries more accessible to children in the early 1900s. 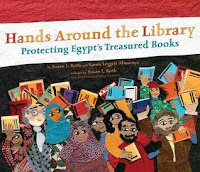 We thought it would be the perfect time to revisit another nonfiction book about dedicated librarians who went to great lengths to make sure their patrons had access to information. Many nonfiction books have been written about the Great Depression, but few people know about the pack horse librarians of Kentucky. In 1933, the Work Progress Administration was created to put Americans back to work by paying people to build roads, schools, parks, etc... The WPA also paid librarians to travel into the mountains on horseback to bring reading material to residents of remote areas of Kentucky. "The Kentucky pack horse librarians were tough. They had to be in order to travel atop horses and mules over the rockiest terrain, through all kinds of weather..."
In just fifty-eight pages, Appelt and Schmitzer eloquently tell the story of the tough, determined and caring librarians who made special connections with their patrons. 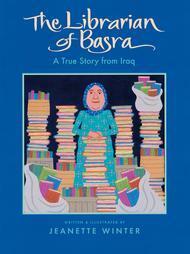 They were all local women (and even a few men) who knew what people wanted to read. The librarians provided their own horses, the books and magazines were donated by local organizations, and the salaries were paid by the WPA. 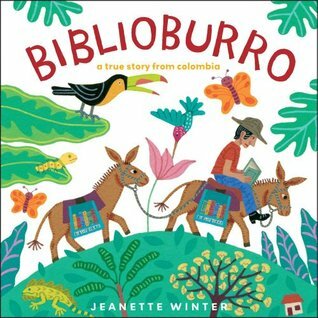 Readers will be intrigued by the dozens of black and white photographs showing librarians reading with patrons in their cabins, delivering books on horseback, and greeting school children. Although the pack horse librarian program ended in 1943, it made a great impact on improving the lives of adults and children in isolated parts of Kentucky. 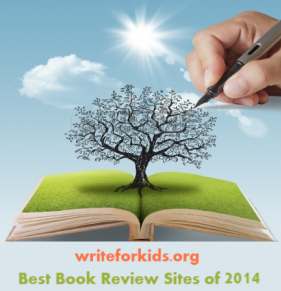 The authors did their research, and an extensive bibliography is included in the back of the book. Down Shin Creek is an inspiring story that will capture the attention of middle grade readers while teaching them about U.S. history. 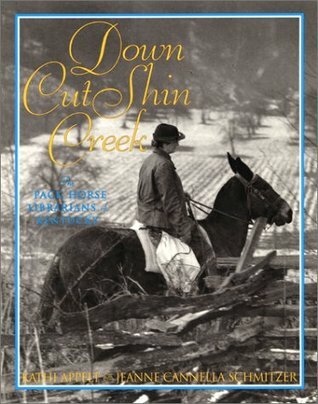 Unfortunately, Down Cut Shin Creek is now out of print, so hold on to the copies that you own or pick up a used copy if you can. With the Common Core State Standards requiring more high quality, narrative nonfiction in schools, Harper Collins would be wise to reprint this gem. Check out these books about other amazing librarians.